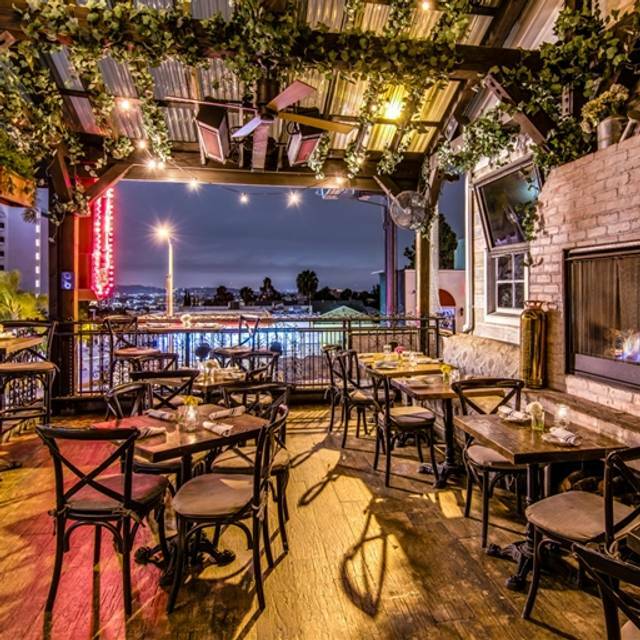 You must make reservations at least 5 minutes in advance of the time at Pearl's Rooftop. Valet in lot behind restaurant. 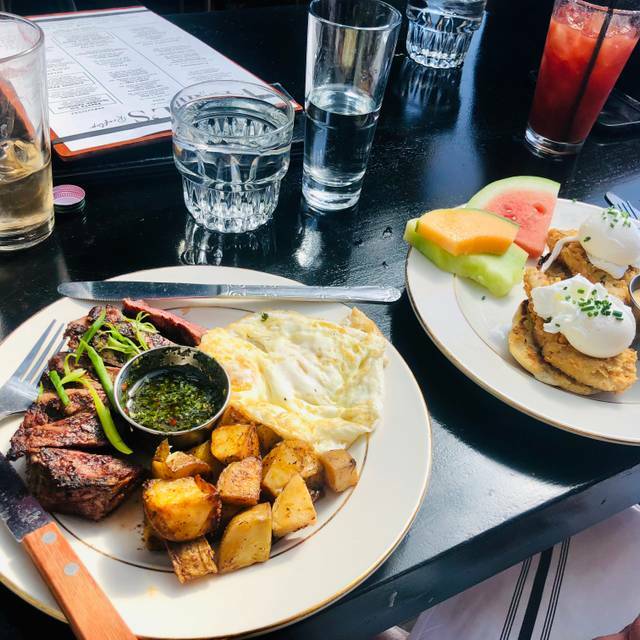 Metered street parking on Sunset, Hillsdale, Lamp; Clark St.
DJ on Friday Night 9:30-CL, Saturday Night 9:30-CL, Sunday afternoon for brunch! 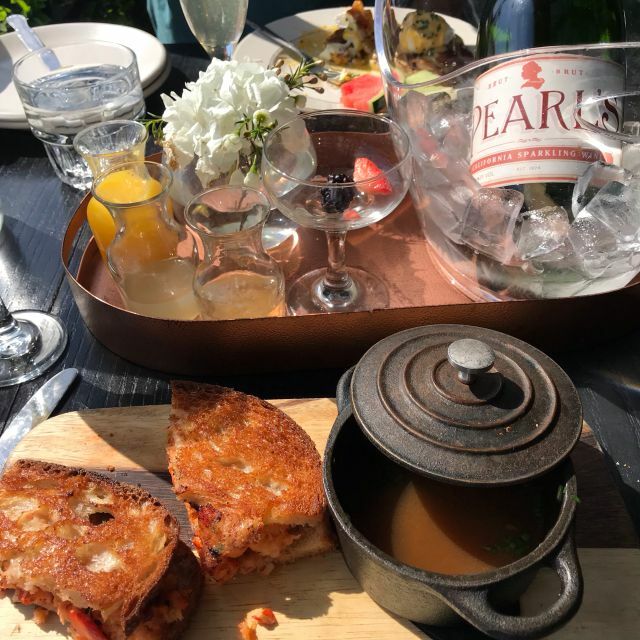 Pearl’s Rooftop is a staple on the famed Sunset Strip and the go-to spot for celebrities, influencers and Weho locals. With two levels of rooftop patio overlooking the Strip as well as an intimate back garden with its celebrated instagram flower wall. We feature a specialty drink menu with creative cocktails. 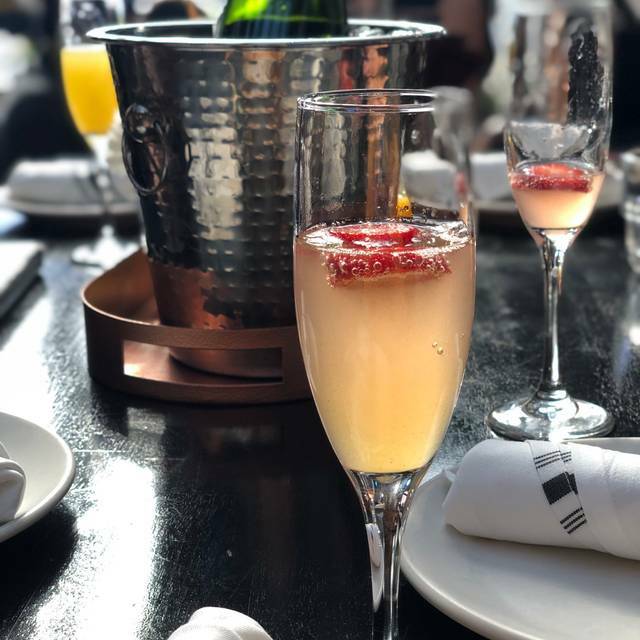 Pearl’s is known for its brunch on the weekends and its Mimosa Kits which include a bottle of Pearl’s Bubbly and a selection of juices, purees, and seasonal berries as well as a great vibe for dinner and after dinner drinks and fun. Favorites on our food menu include Lobster Tacos, the Lobster Dip sandwich, Grilled Salmon with Pesto, Zucchini “Pasta” Noodles, and the famous Pearl’s Hot Chicken Sandwich. Our salt and vinegar French fries are cut in house and a perpetual favorite. We offer private dining and section buyouts for your special event including bridal and baby showers and engagement parties. $1 chilled, grilled and fried oysters until we run out and $5 glasses of Pearl's Bubbly all night. Discounted bites and drinks offered Monday - Friday. $1 oysters offered everyday from 5pm -7pm. Everything was great, except our waiter was pretty dry. It just seemed like something was going on with him. He just seemed he didn’t want to serve us, or he didn’t want to be there. He was just “over the day.” But great place though! 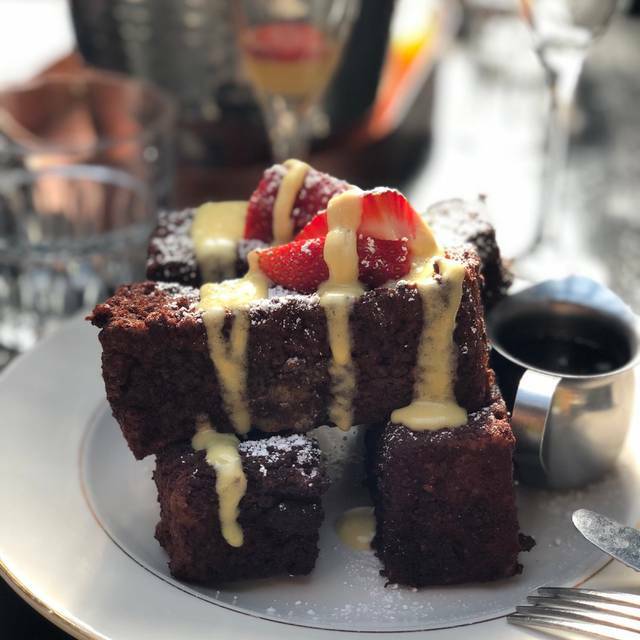 Easter brunch- had amazing oysters and cocktails for a nice, light brunch. Slow slow service. Took 53 min to get our eggs. This reservation was a last minute decision... 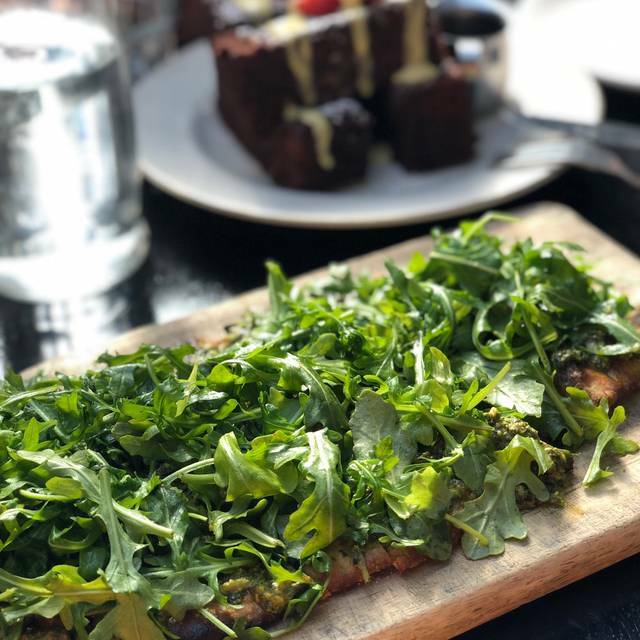 Looking for a celebratory place that had vegetarian/non-alcohol options/view of the Sunset! The communication between Open Table and Pearl's Rooftop as to our request was not conveyed and led to an awkward moment when we checked in at 6:45pm on a Friday. The Host(ess) and everyone of the waitstaff went above and beyond to make up for the miscommunication created by the difficulties the original reservation's failed to convey to the restaurant. It was a tremendously lovely and satisfying night, nevertheless, and we intend to return frequently now that we've been made aware of this establishment. I hope that OpenTable will do what they can to correct the miscommunications that their site has overseen. Went here on a date during happy hour before watching a show at Largo on Coronet. The Nashville hot chicken sandwiches were excellent and the prices were even better. It was a really cool ambiance on the rooftop, but it wasn't as high as I originally thought it would be. I would definitely go back and I highly recommend. Amazing food, good ambiance. A must when you are in LA!! They gave away our table and had us wait at the bar saying we’d be the next two top table. We ordered 2 apps at the bar, waited an HOUR until the appetizers come out...COLD AND SOGGY. I ask the bartender to remake and she gives us a glare. I check with hostess asking how much longer she said we should be next. After another 30 minutes so total of hour and a half, she tells us she won’t be able to seat us tonight. Cute spot for a date night! Had a great set up, music and environment but food was poor and took an hour to be served. Server never checked on us. 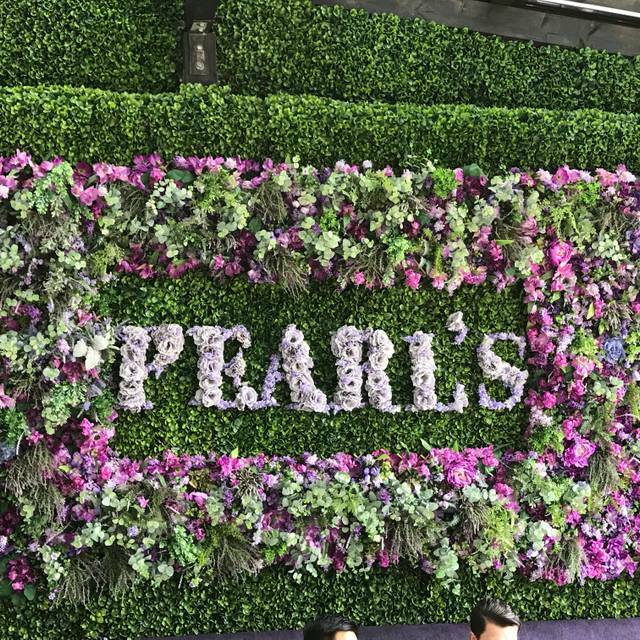 My Sorority sister's and I visited Pearl's Rooftop for the first time last Sunday March 24th. What an AMAZING time we had, great food,drinks and ambience. Can't wait to go back! Pearl's Rooftop received 10 thumbs up (there were 5 of us)👍🏽👍🏽👍🏽👍🏽👍🏽👍🏽👍🏽👍🏽👍🏽👍🏽! Very Busy on a Saturday night, so expect delayed service. But overall drinks and food was great. Pearls was SUCH a cute spot! 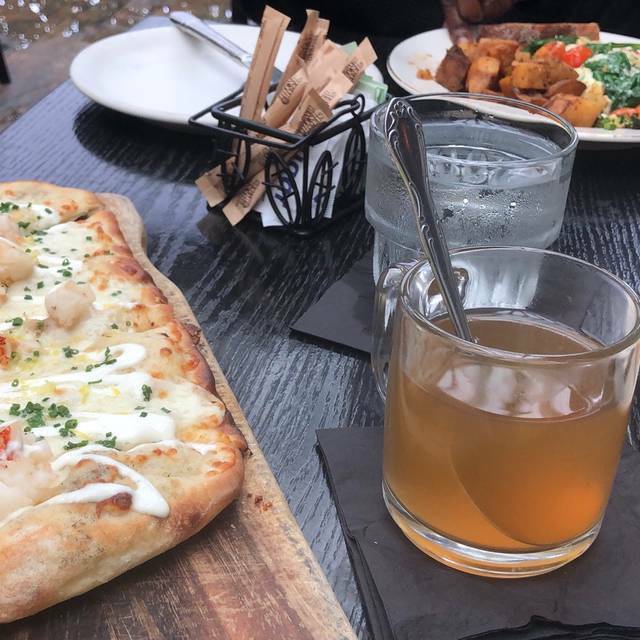 Great drinks, great food, and great photo oops. The servers were super friendly and fun. We went for dinner, but I can’t wait to go back for brunch! I would highly recommend Pearl’s to people looking for a cute spot. My son and I are in town for vacation so we wanted to try some place cool. This fit the bill, cool atmosphere for sure. I got the feeling that they were a bit understaffed, it was a very busy (I thought!) Tuesday night and the server, bartender and food runner were friendly the service was slow and we had to ask for drink refills and wait 15 minutes to pay the bill. I’d go back and hope the turn was a little quicker. Horrible. They had no servers and barely any food items. Cute, swanky and cool LA rooftop vibe. Loved it. Definitely will go back. Great service and the ambiance was cool (we had a great spot next to the window) but the food left a LOT to be desired. We ordered the meatballs appetizer and it was so dry, even with the sauce, I couldn’t get through it. Drinks were okay - and the filet was just blah. Nothing to talk about similarly for the potatoes and veggies on the side. 2 drinks each, 1 app, 1 entree was $120. As much as the vibe is cool, we won’t be going back. Just some thoughts to grow on...We were seated but were not attended to since our waitress got in late. Guess no one else could take our order. When the waitress finally showed up, she waited on the table seated after us. Outdoor chairs were uncomfortable. Food was okay but not for the value. After taking several folks to Pearl's over the last couple of years, I will never go back again. I took another international couple of travelers and were stuck in a back corner near bathrooms and storage. We were told that several tables were reserved by one party in the upper section and we had no options. However, as we were leaving the 'large' party had yet to arrive and the upper section remained completely empty. Very poor planning by the host. I will never be back. Loved everything about Pearls. Their lobster press was perfect for brunch and the mimosa kit was enjoyable. The seating was arranged perfectly for the sun to peek through. Great location. The food was very good but the cocktails tasted watered down. If it was happy hour - maybe, but with signature cocktails at $14, you should be able to taste the alcohol, not just the juices and mixers and the drink over-iced. I normally love this place but they got rid of the wednesday lobster special which i found out after i already sat to order. Then they got rid of the friday lunch special after i sat to order. 1 waiter for 30 people, he never came back to check on me ever again, and the bus boy brought wrong food but there was no one to tell because waiter never came back even as i waived my hands like i was drowning. i'm done with Pearls, which used to be my favorite place in LA. The service was terrible. Group of us 6 girls and the waitress was incredibly rude but the ambience is incredibly calming. The food was okay, but the service was horrible. We were never introduced to our server, we had multiple people bring our orders. So, We were a bit confused as to who was serving us. We had ordered two orders of fries and were brought one. Our second order was brought as we were leaving. Beautiful place with a beautiful view and even better food! This place was simply stunning and it was the perfect place for a romantic meal in the heart of Hollywood. Will 100% be coming back. Service was impeccable - a very attentive waitress. The food came out very quickly, would not change anything. Cute spot for breakfast and lunch but the menu definitely needs to be improved. Mac and cheese broccolini was amazing! Great deal on oysters!